In April 2013, as part of the Serbian Automobile Historians’ Conference in Beograd, we visited the local automobile museum. Luckily my friends from the Technical Museum in Zagreb were there before, so we did not get lost. The Museum lies in a quiet street, in a residential area. If you take the E50 highway from Mannheim to Nürnberg, you better plan to plan for a lot of stopovers. 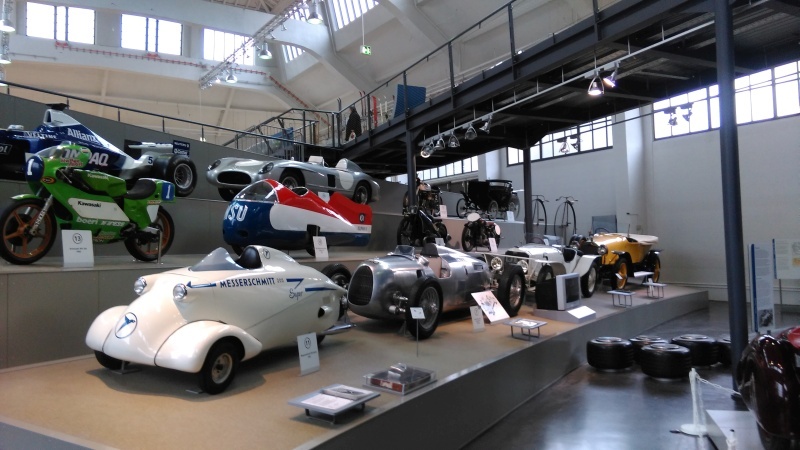 There's the magical Technical Museum in Sinsheim, the motor racing museum at the Hockenheim ring - more on these later on. From 7 July to 27 August 2017 the Louwman Museum in The Hague will be hosting a ‘McLaren’ exhibition. McLaren’s numerous victories in Formula 1, Indianapolis, Le Mans and in Can-Am races have established its unparalleled reputation in motor racing. Though the front page looks a bit outdated (we are sorry about that), the database is alive and well. You can plan your motoring holiday with us! An upgrade is in the works! Did you know that we have a Flickr channel?